English: Ashy robin, black-cheeked robin; French: Miro cendré German: Farnschnäpper; Spanish: Tordo Australiano Terrestre. 6-8 in (15-20 cm); 1.1-1.4 oz (31-40 g). Gray crown with medium-brown upperparts, dark brown wings with white-tipped secondary coverts, and grayish white underparts. Northeastern Queensland, Australia, and mountains of New Guinea. 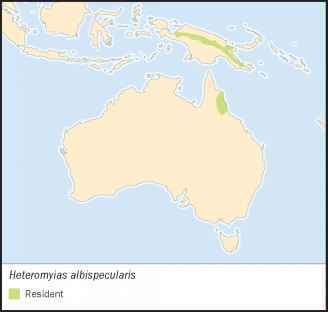 Three subspecies in New Guinea and a well-defined one in Australia. Rainforest, 2,500-8,000 ft (850-2,600 m) elevation in New Guinea, 800 ft (250 m) and up in Queensland. Territorial and sedentary. Perches low on trunks and vertical saplings; often jerks tail up and down. Breeding females have a wing-flutter display. Song is a series of piping whistles, as well as harsh alarm calls. Pounces onto insects and their larvae, centipedes, earthworms, and leeches. Breeding season is from August to January. 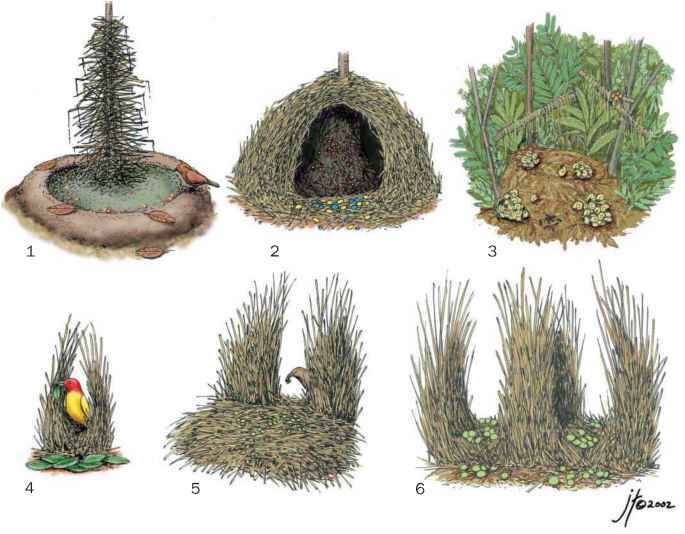 Nest is an untidy cup, made of rootlets, tendrils, and twigs and covered with moss on the outside; nest is placed in climbing palms or sapling branches. Female builds nest, incubates eggs, and broods and feeds young, but she is fed by the male. Clutch comprised of one or two eggs, incubated for 17-19 days. Young fledge at 12-13 days. Young fledged from 53% of nests in one Queensland study.